Coming down heavily on Swiss giant Nestle, the central food safety regulator FSSAI on Friday ordered recall of all nine approved variants of Maggi instant noodles from the market, terming them "unsafe and hazardous" for human consumption. Food Safety and Standards Authority of India (FSSAI) also said Nestle launched 'Maggi Oats Masala Noodles' without approval and ordered its recall, saying the company did not undertake risk and safety assessment for the product. "Withdraw and recall all the nine approved variants of its Maggi Instant Noodles from the market having been found unsafe and hazardous for human consumption, and stop further production, processing, import, distribution and sale of the said product with immediate effect," the FSSAI order said. FSSAI also said that Nestle violated labelling regulations on taste enhancer 'MSG' and ordered company to submit compliance report on its orders within three days. "Withdraw and recall the food product, 'Maggie Oats Masala Noodles with Tastemaker' for which risk safety assessment has not been undertaken and product approval has not been granted," the order said. FSSAI also served a showcause notice to Nestle and asked it reply within 15 days as to why the product approval given to it on the nine variants should not be withdrawn. "The company is further directed to submit a compliance report in this behalf within a period of three days and furnish progress reports on the recall process on a daily basis thereafter till the process is completed," the order issued by Y S Malik Chief Executive Officer FSSAI said. 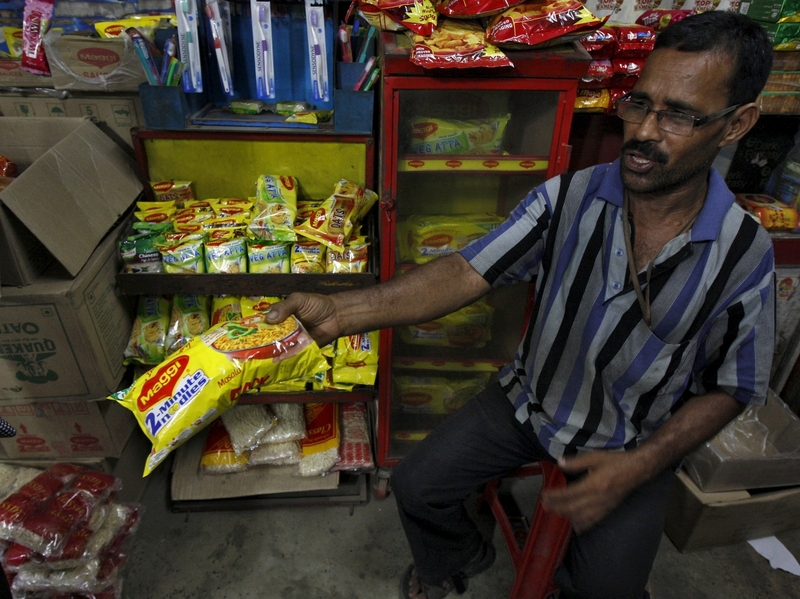 After Delhi, four more states -- Gujarat, Tamil Nadu, Jammu and Kashmir and Uttarakhand -- have banned the sale of Maggi noodles, as the popular instant snack came under mounting scrutiny over food safety concerns. FSSAI said that Nestle had applied for product approval for Maggie Oats Masala Noodles with Tastemaker in July last year on which certain clarifications were sought by the food safety regulator on safety and risk assessment. "What is disturbing to note is that the company had already released the said product in the market without completing the process of risk assessment and has been promoting its sales," the order said. The order termed this as "illegal" and a "serious violation" of FSS Act Rules and Regulations. "In the absence of safety or risk assessment and grant of product approval of a food product covered under section 22 of the FSS Act, the company has acted in violation of law. The product cannot be allowed to be intended for human consumption and has to be withdrawn from the market forthwith, the order said. "As already agreed by the company during the hearing in respect of the rectification of label and removal of 'No added MSG', the company is directed to comply with the related labelling regulations in this behalf forthwith," the order further stated.